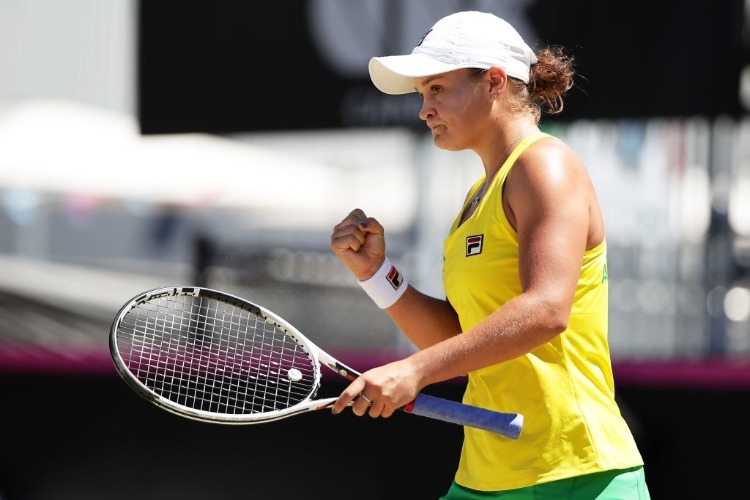 Ashleigh Barty says she is not feeling any pressure despite her Australian Fed Cup team relying on her to carry them to a win over the US. The world number 13 from Ipswich will play two of the three remaining rubbers, including a titanic singles clash with American ace Madison Keys. "No pressure at all," Barty said after winning Saturday's opening singles rubber 6-1 7-6 (7-2) against US number two, Sofia Kenin. Keys, ranked 17th in the world, evened the tie with a convincing 6-2 6-2 win over Queensland's Kimberly Birrell at Asheville's US Cellular Center indoor arena. Barty and Daria Gavrilova will face American duo Nicole Melichar and Danielle Collins in what could be the deciding doubles rubber in the five-match format. Australia is desperate for a win.